Asked if the Congress is ready for a probe in Punjab too where the AAP is alleging EVM tampering, she said her party has the confidence and does not fear any investigation. 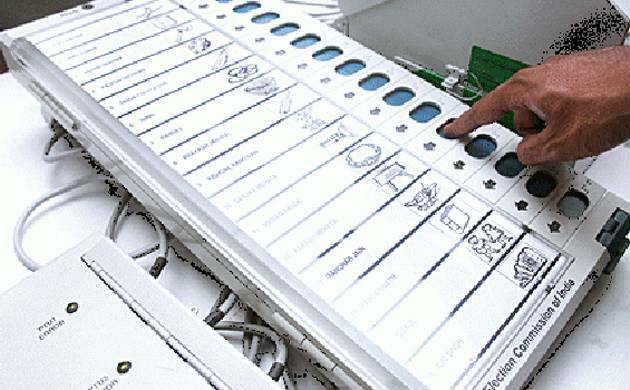 The Congress on Wednesday said the Election Commission should probe into the EVM tampering charges made by some parties to ensure that voters’ confidence is not shattered and there is no blot on India’s democracy. “If any party has doubts over efficacy of EVMs, it is the Election Commission’s duty to hold a probe. The EC’s first responsibility is the voters should have confidence that the vote cast by them reaches the person they want,” Congress spokesperson Sushmita Dev said. “India is the largest democracy and we take pride in that. We should not allow any blot on it. The Election Commission should hold an investigation and we do not have any objection,” she said. Besides AAP, the BSP has made similar allegation in Uttar Pradesh and demanded a thorough investigation, even though the EC has debunked the charge. “The Congress as a party has confidence. It is the mandate of the people. If the EC wants to hold any investigation, we do not have any objection to it,” Dev said. She said the Congress has a very clear stand, that it will not oppose any investigation into booth capturing, tampering of EVMs or into a complaint by any party on use of unlawful or illegal means. “Because we are damn confident that we are not a party to do any such thing in any state, be it Punjab, Uttar Pradesh, Manipur or any other state,” Dev said. She said India takes pride in its democracy and electoral system and if any party casts a doubt on it, the Congress fears no investigation because it has not used any such means to get any result. Asked about its leader Ajay Maken writing to the EC, the Congress leader said her party believes in itself when it is about people’s confidence that their vote is going to the one they want. “Why should Congress stand in the way of any party seeking an investigation into it. Let the truth come out. We have no problem with that,” Dev said. The question is not of technology but it is the Election Commission’s job to ensure smooth elections and see that there is transparency, she said, adding EVMs were introduced to ensure that there was no use of muscle-power or money-power or booth capturing.